WELL. After all the beauty WTF-ery in Milan, we&apos;re getting a taste of it from Paris too. The biggest of the big four—Paris Fashion Week—wrapped up last week... and ooh la la, it was one of the most experimental in beauty history. I might need to lie down. What the what?!? 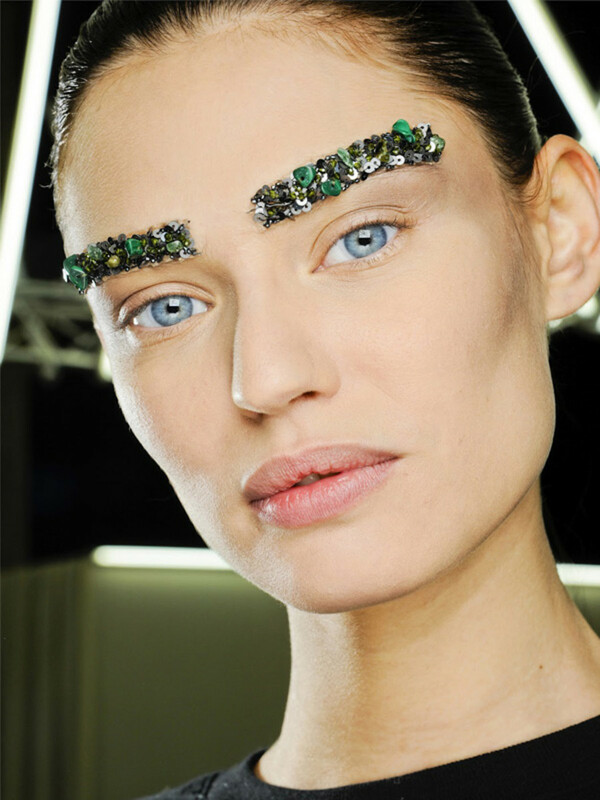 I&apos;m not gonna lie, I was a little disappointed with Chanel for the wild swing from beautiful pearl-adorned mermaids for spring &apos;12 to... bedazzled eyebrows? We can blame Karl, because these were his idea. There&apos;s nothing aspirational about them for me, but I do think the "military" shape and variation in colour is kinda neat as a runway statement. And who would&apos;ve thought that Miu Miu would take bedazzling one step further? Stick-on mirrors with blue-and-white striped circus makeup: I never thought I&apos;d see the day. And yet... I don&apos;t know if it&apos;s Miss Wixson but I do not hate. I&apos;m just not sure what all of this bedazzling means for us civilians. A publicist sent me a press release for these—is this my future? 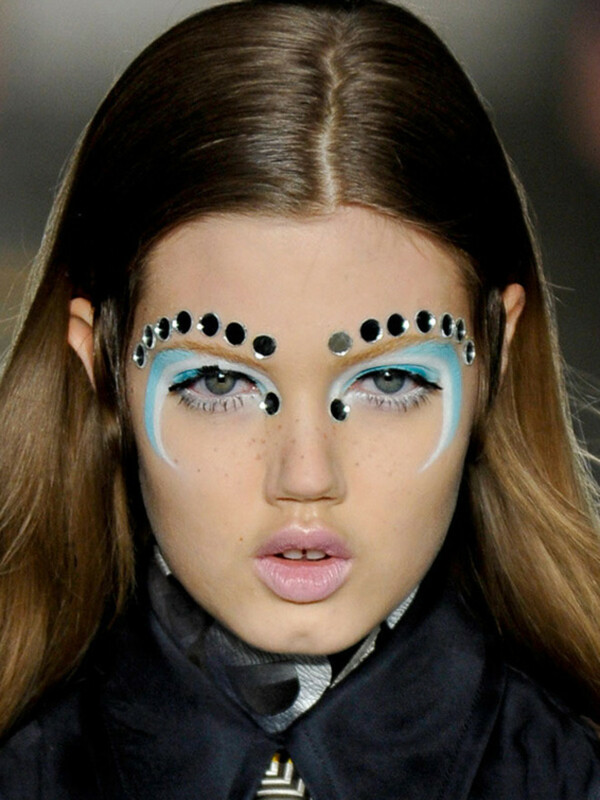 Continuing on from the brow-dazzling trend were three shows with three radical—and radically different—eye makeup looks. 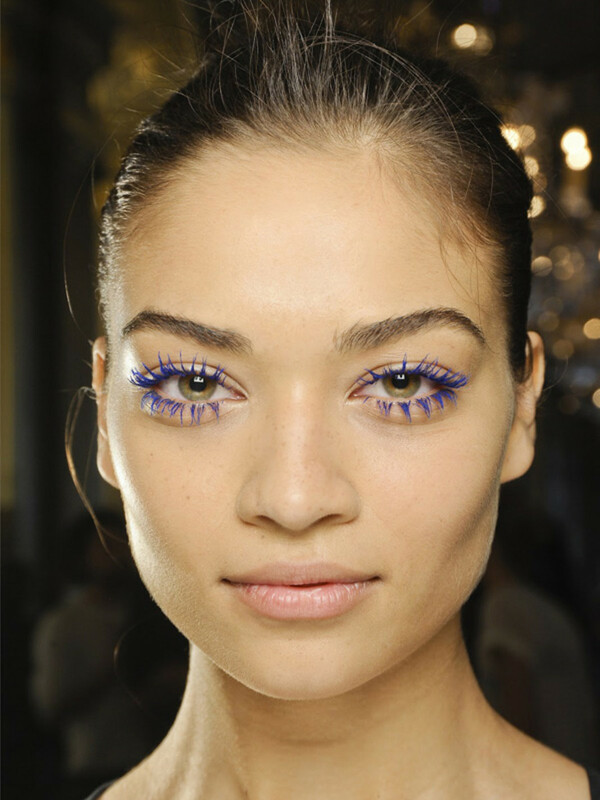 I like Stella&apos;s chunky blue lashes the best (achieved, according to Pat McGrath, with a custom cobalt blue gel on top of CoverGirl 24-Hour LashBlast Mascara in Black). I&apos;ve never been a coloured mascara fan, but there&apos;s something about the way these pop against the bare face that I heart. 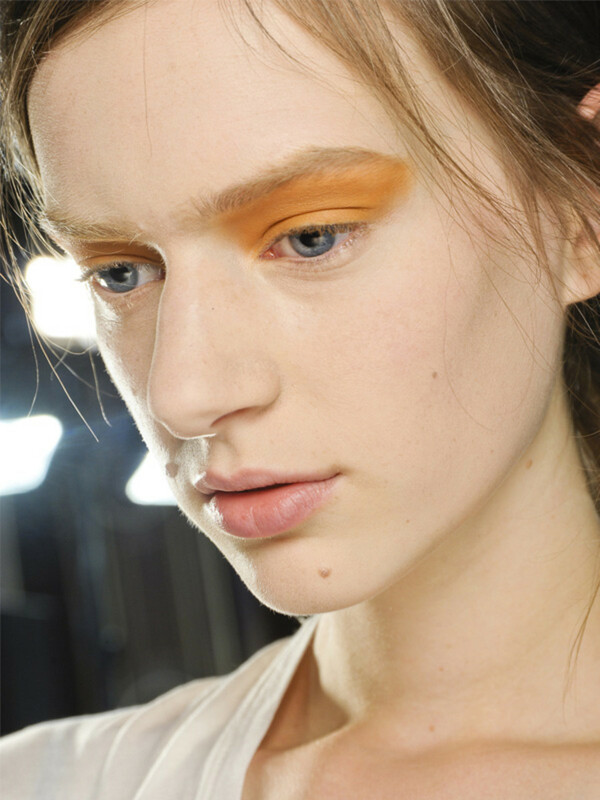 And finally, I shall be skipping the Dries Van Noten orange shadow altogether... but if you want to recreate the look, use Make Up For Ever Eye Shadow in No. 66 and No. 78, and Chanel Ombre Essentielle Soft Touch Eye Shadow in Tigerlily. It&apos;s hard for me to endorse the hair at Haider Ackermann when even the creator (Eugene Souleiman) describes it as "rough," "raw," "ugly" and "unhealthy." Okay then. After twisting it into messy knots and spraying with black and silver aerosol hair colour, he then painted stripes with metallic bronze makeup. And here comes one of my all-time favourite quotes in all of Fashion Week history. “It’s not about thinking about it, it’s about gestures, and the grand gesture here is: I don’t care.” Sometimes I really think these people are effing with us. They HAVE to be, right? Over at Jean Paul Gaultier, there was also some high-contrast colour going on (and we saw this at Prada, too, so you know what they say—three&apos;s a trend). I think the take-home message here is not to emulate these looks exactly (PLEASE GOD NO), but that you can play more with hair colour in general. 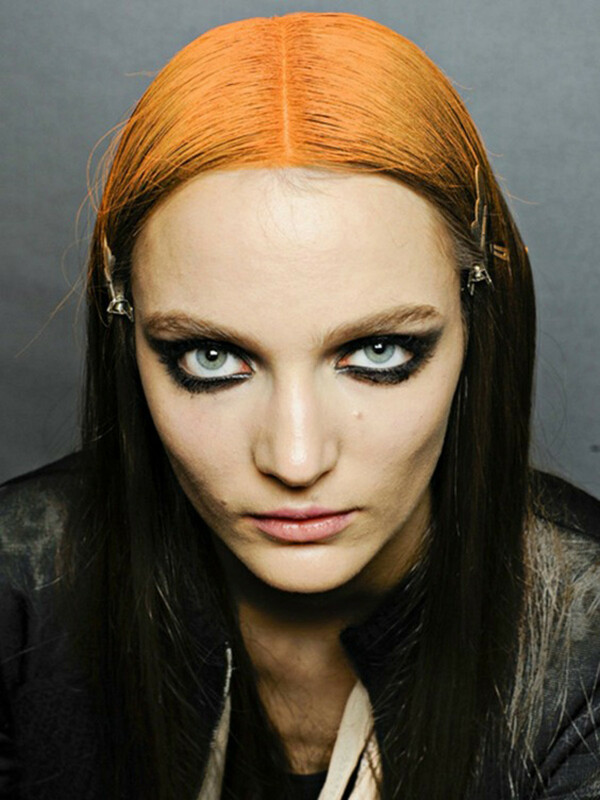 If you&apos;ve got the personality for it, maybe consider a bold streak or two in the under-layers of your hair, or dip-dye at the ends (which is much easier than the rooty JPG look because you can just chop it off when you&apos;re over it). 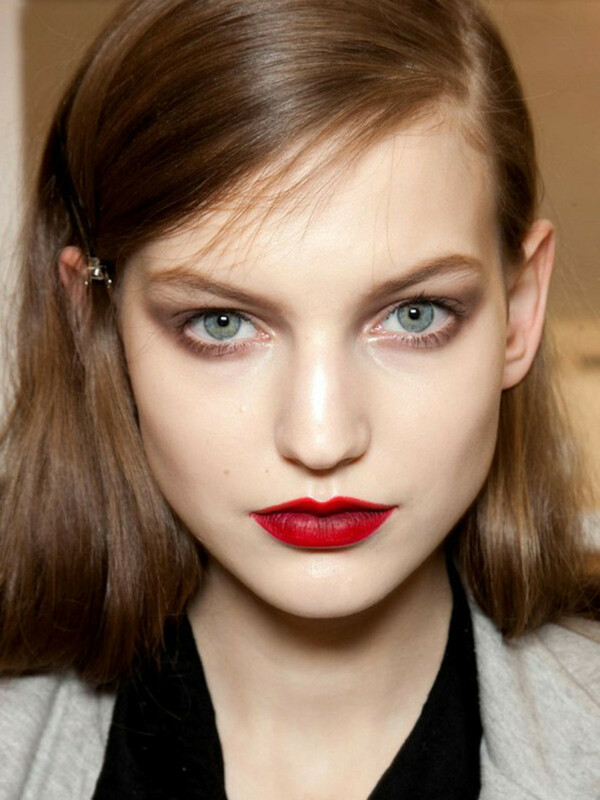 When I used to work on staff, writing up the annual fall beauty trend report was always a little repetitive because inevitably there would be a "red lipstick trend" that was no different from what we called a trend the year before, and the year before that. But finally! I think I have something new to say. Do you see it? Lipstick has gone all dark and brooding and Goth-like. At Yves Saint Laurent, it had a glossy texture courtesy of the new (and excellent) YSL Rouge Pur Couture Glossy Stain in No. 1. Seriously, one of the best stains in the biz. 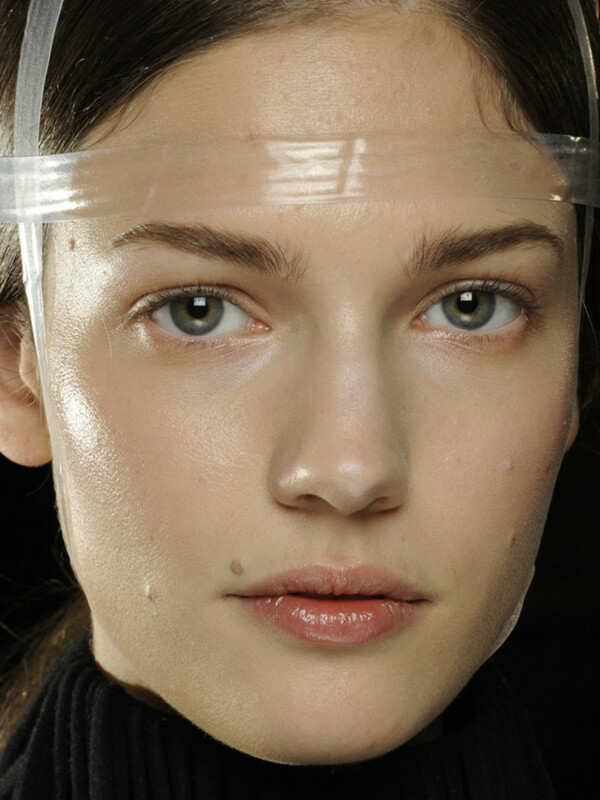 At Rochas, Nina Ricci, Dior and V&R, the texture was more matte. I&apos;m not sure of the others, but the colour at Rochas is (blotted) Clé de Peau Extra Rich Lipstick in #R10 (not out yet). Annnnnd.... micro-trend alert! Notice the Ombré effect at Nina Ricci where there&apos;s a darker shade in the centre. 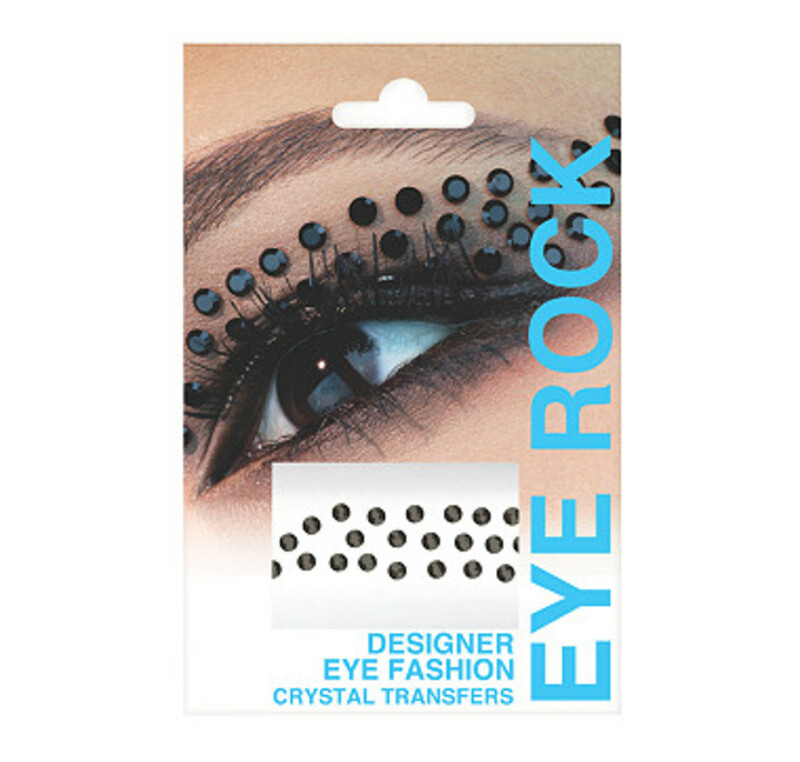 Ahhh... now a trend that will actually work for my uneventful life (I just don&apos;t go to places where you can show up with chunky blue eyelashes). Not that skin is really a trend—it&apos;s always in. I was most impressed with the surprisingly minimal Dior face (which if you know your Dior was actually a big departure for the house). No idea what was used for foundation—I&apos;m assuming it was their own—but I can tell you about the rest of it. 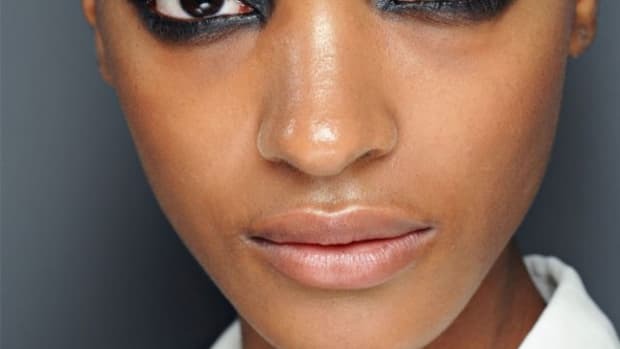 Pat McGrath used gold shimmer on the tops of the cheekbones and eyelids; brow shadow to define the eyes; tons of mascara; beige pencil on the waterlines, and just clear balm on the lips. 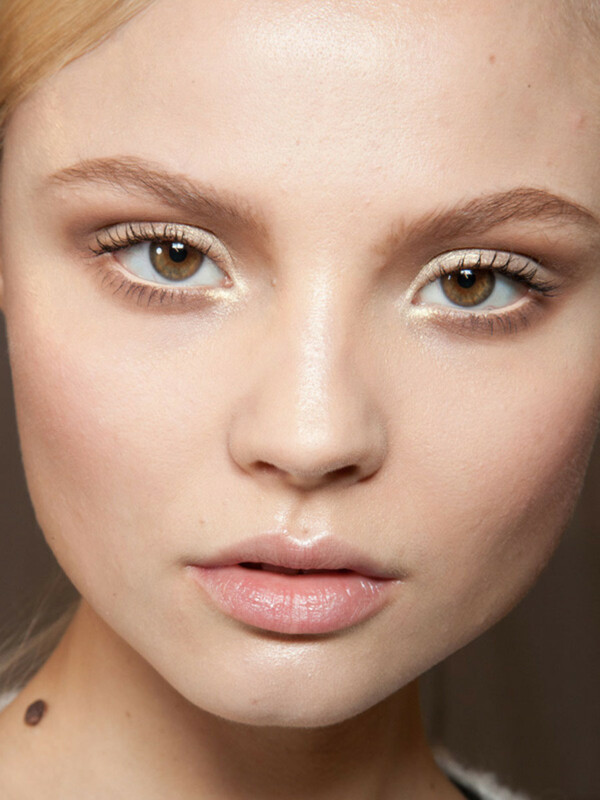 Similarly, at Valentino, even though more focus was on the eyes with tons of mascara and a palette of soft pastel shadows, the skin had an "ethereal" quality with highlighter on the Cupid&apos;s bow (and at the inner corners of the eyes too). Love. 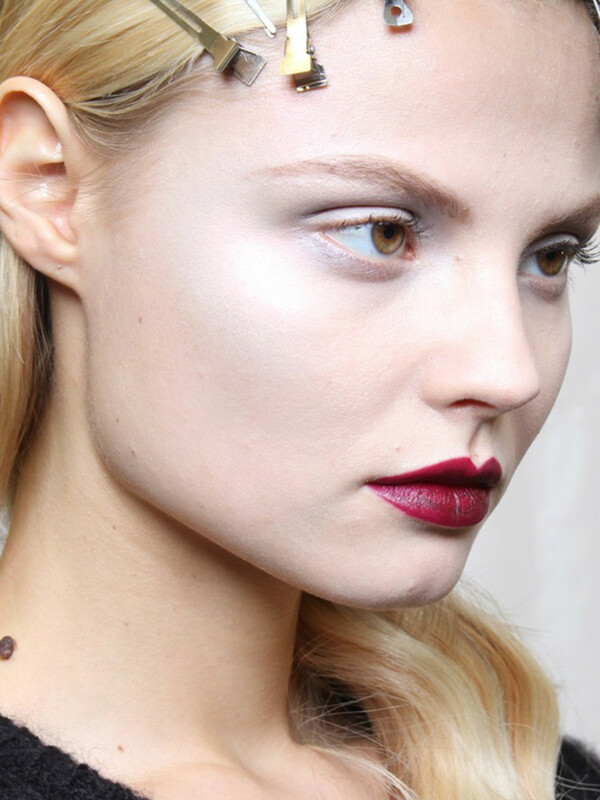 I can&apos;t tell you what was used at Gareth Pugh, although I&apos;d kill to know what&apos;s on the cheeks and lips. But at Balmain, Tom Pecheux breaks it down for us. 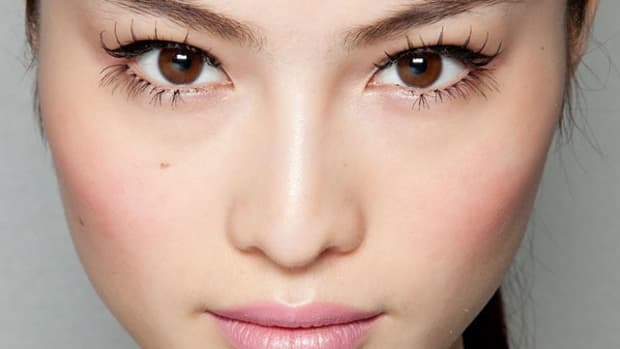 Although "skincare is very important," he admitted that “Balmain always gets the 25 most beautiful girls in the world, so they don’t need much." That explains why the prodz used here were just moisturizer, concealer and powder. I use those every day too, but they sure as heck don&apos;t make my complexion look like HERS. Damn, girl. Which are your favourite Paris Fashion Week looks? Which would you actually walk down the street wearing? 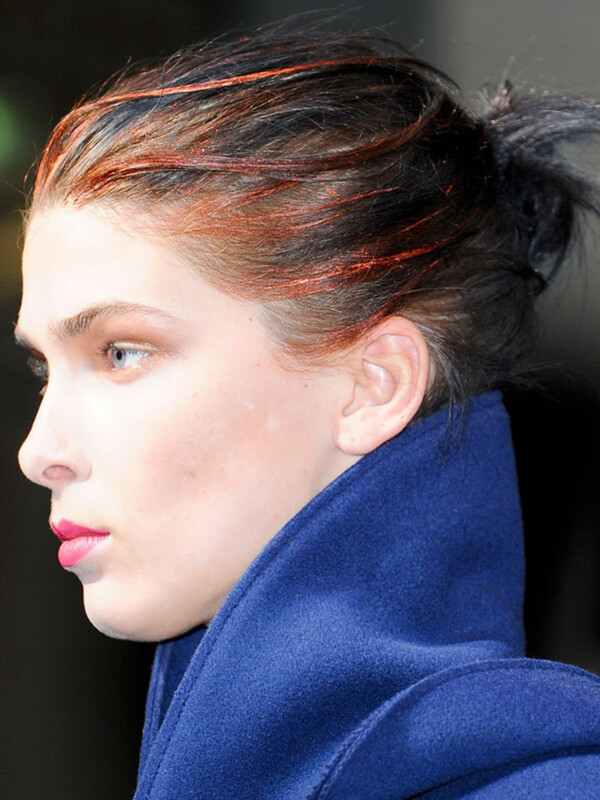 Do you think bedazzling or colour-blocked hair will actually take off?